For use in school, medical lab or office. Easy-to-clean vinyl upholstery is PVC-free. Five-star base with integrated footring. For use in school, medical lab or office. Easy-to-clean faux leather upholstery is PVC-free. 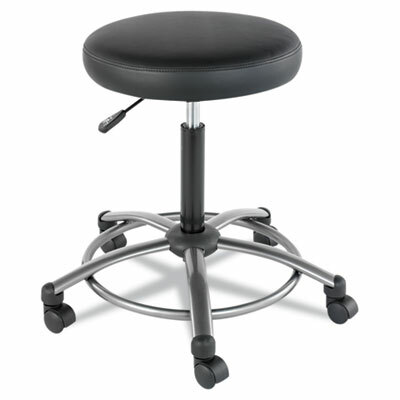 Five-star base with integrated footring.